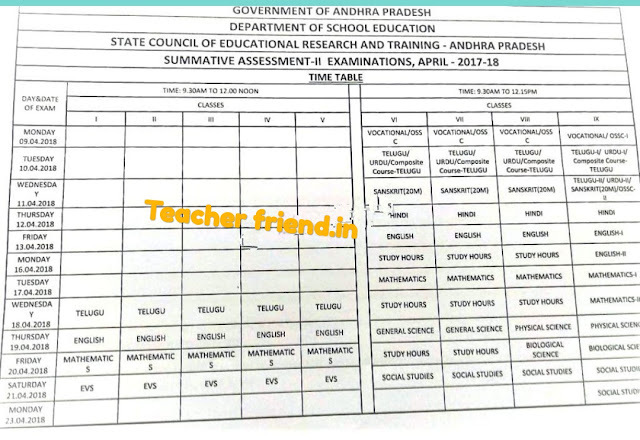 Home» AP LATEST UPDATES | EDUCATIONAL PORTAL » AP SA2 Exams 2018 Time Table Scheduled Dates. AP SA2 Exams 2018 Time Table Scheduled Dates. 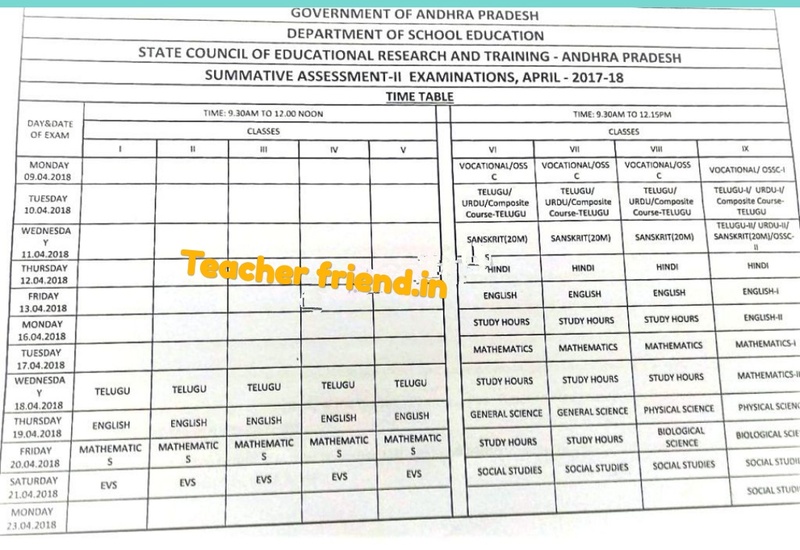 AP Summative Assessment Test 2 Examinations 2018 Time Table Scheduled Dates,AP SA2 Examinations 2018 Time Table Scheduled Dates from 09th April to 23rd April 2018. The Summative Assessment Test 2 SA-II Exams Conducting Guidelines Instructions and Evaluation Question papers Guidelines Released soonly. Get Download AP SA-II Examination Scheduled Dates Click Here.